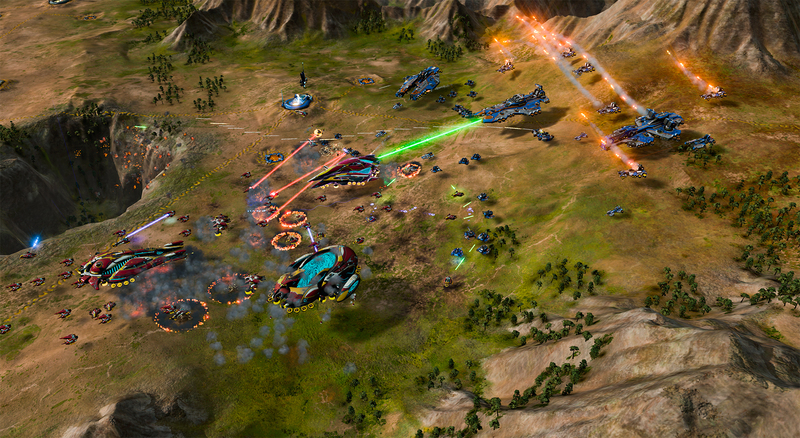 Gaming Trend has their review of Ashes of the Singularity posted and gives it an 85! "Ashes of the Singularity may be a technical triumph, but it also delivers an experience we’ve not seen in this genre for at least a decade." Nice review - Congratulations - well deserved from everything i seen playing - they semi downplayed the technology aspect of the game but this game is the reason i upgraded my desktop to Windows 10 after playing around on the fast development ring on my laptop for few months to check stability of Windows 10. Direct X 12 is really a big upgrade to the game performance and I happened to buy an AMD R9-290X a year ago on sale instead of a GTX-970 and am enjoying the increased performance in Direct X 12.0. I did like this review a lot. This seems to follow most of the higher scoring reviews, they gloss over the glaring issue AotS has, and are in awe of DX12 capabilities, and how the nitrous engine uses it. Yes, it is impressive that you can have tons of units on the screen at once, yes, the battles are pretty cool (well, all but the explosions) but, that doesn't make a RTS game good. Glaring issues such as... what? What recent (as in past 2 years) RTS do you think is as good as Ashes? Rather that derail this thread anymore, I just made a new thread.